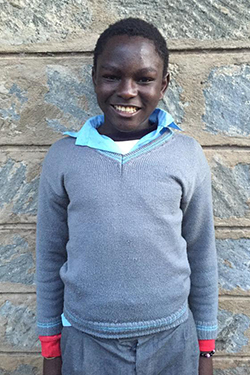 Ken was living at home with his mother and four siblings until the death of his father. His mother was unable to support such a large family by herself, so he turned to the streets to find food and money to help provide for his brothers and sisters. It didn't take long for Ken to find himself stealing and using drugs like glue. After nearly a year in the streets he met our partner, Joseph, the Director of Global Hope Rescue and Rehabilitation Center. At first he was very reluctant to counseling and rehabilitation but eventually started to show interest in returning to school. He has taken on a very helpful role at the Rescue Center, always willing to lend a hand with chores and help the other boys with their work. He is very happy to start the new year back in school!